The new Sing Core Sidelight Door is something new, which has never happened before in the door industry. Traditionally a door with one or two sidelights makes the door opening look much bigger, but when you open the door, the opening is only 36-inches. Why not make the door and the side lights open together? 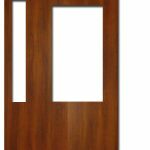 This is due to the limitations of standard door manufacturing methods. Nobody can build a four- or five-foot wide door without it warping. If your door warps as little as one-quarter-of-an-inch, you will not be able to secure or latch the door, and you will have a problem with air-leaks. What good is a door if it cannot latch? Now, you can save up to half the money with the same look with a bigger opening, more insulation, and lightweight without having to give up superior strength and rigidity. We build doors, like this, at many times the size and guarantee them for 50 years, every day. The extra light weight attributes of doors with Sing Core inside means you can use standard door hinge hardware without running the risk that it will fail or need continued extra maintenance for having to swing a huge four- or five-foot door back and forth. 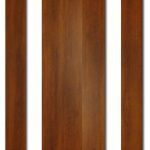 Choose from your choice of four sizes: 78 – 82 x 44 – 48, with or without lite cutouts for use as exterior front doors, which could also be used as interior doors, with or without glass pre-installed. 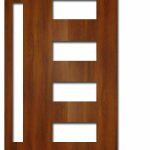 Normal hinges last longer because your door with Sing Core inside weighs a fraction of the weight of any other solid wood, or solid wood-based core door, plus you will never have to worry about this door every warping. In the event of an economic downturn, you can save the money in construction, installation, and labor necessary to have a door with side lights by using your slidelight door with Sing Core inside in its place saving you a great deal of money whether it is specified prior to building your structure, or used as a replacement door. Unfinished Sidelight Door Lasts for How Long? Owner Peter Sing uses an untreated door just like this at his home for many years without fail even though it is exposed 100% to the weather and sunlight. Imagine how much more weatherproof your door could be, simply by properly sealing and/or weather-treating your door with urethane or some other protective coating. If an unfinished, untreated Sing sidelight Door could last years 100% exposed to the elements, how much longer will your extra wide door last if properly weather-treated? We can put windows in your sidelight door, or you can do it yourself. We provide door glass suppliers for the DIY side light door manufacturers to make it easy for you to do it yourself, or you can save yourself the hassle and we will install the glass for you. You can have the most modern-looking wide doors without the heavy weight or price-tag by using Sing Core inside your modern sidelight doors. You can also add custom molding to the surfaces of your sidelight door for almost unlimited varieties of presentation with the most significant visual impact. A list of suggested DIY door hinge suppliers is also available to you to select and install your own hardware for the avid do-it-yourselfers. 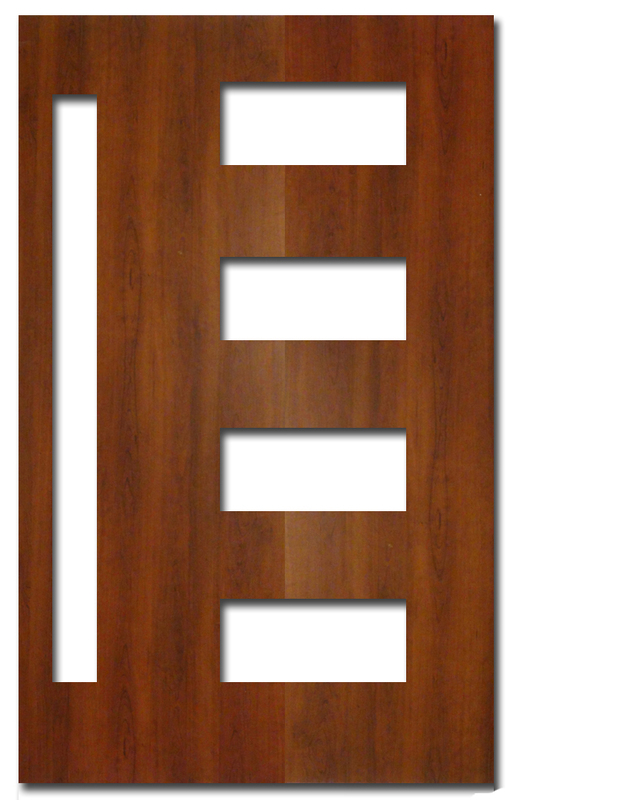 Any style or look of sidelight door, or other type of wide door, can be easily created by adding lite cutouts, or molding, to the door’s surfaces to achieve any desired aesthetic appearance. 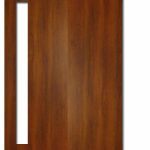 Our favorite door companies carry a stock of Sidelight Doors which are flush door slabs ready for modification and cutting of lite openings. 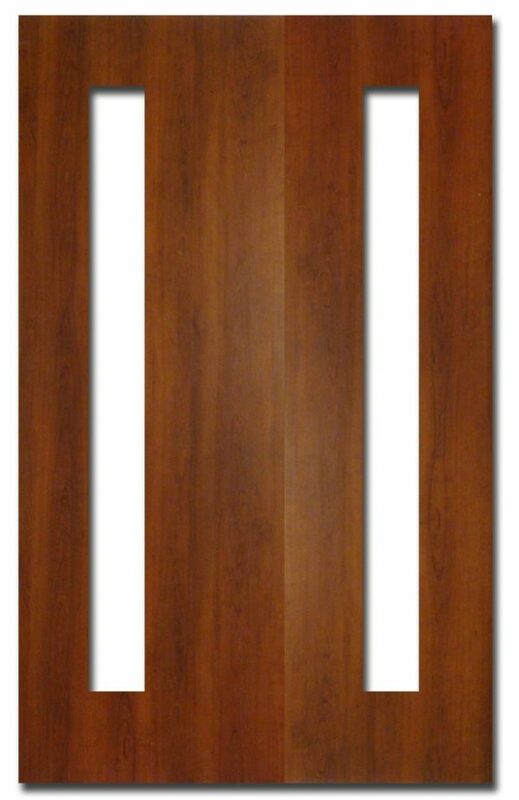 Simply trim up to 2-inches off each edge for desired sizing (78-82 x 44-48 inches) and CNC your client’s desired lite openings, finish, insert glass, and you’re ready to go. 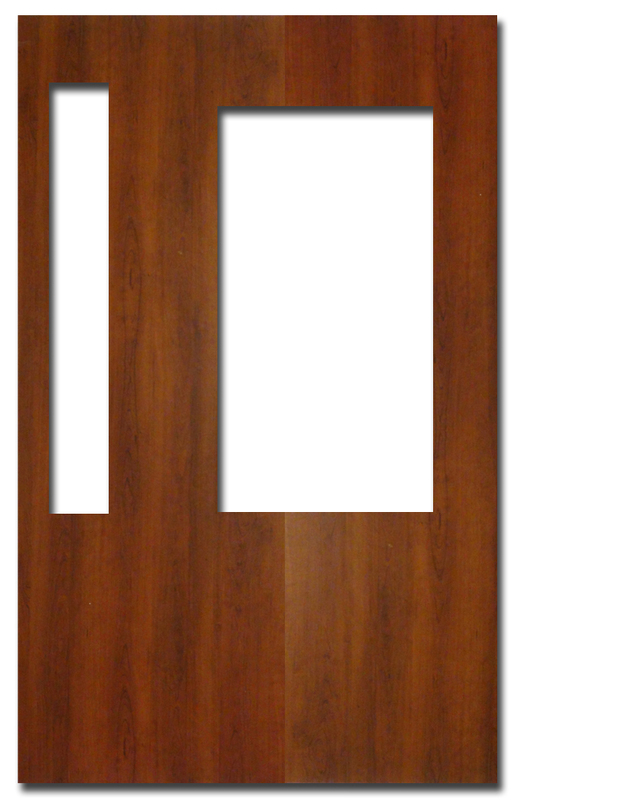 Your own custom sidelight door that will not warp. We’ve taken a proactive stance to make your Sing Sidelight Door as DIY and user-friendly as you might like because the more work you do yourself, the less money you will have to spend on the actual door itself, putting more money in your pocket to spend on other things. Why HPL in Your Sidelight Door? 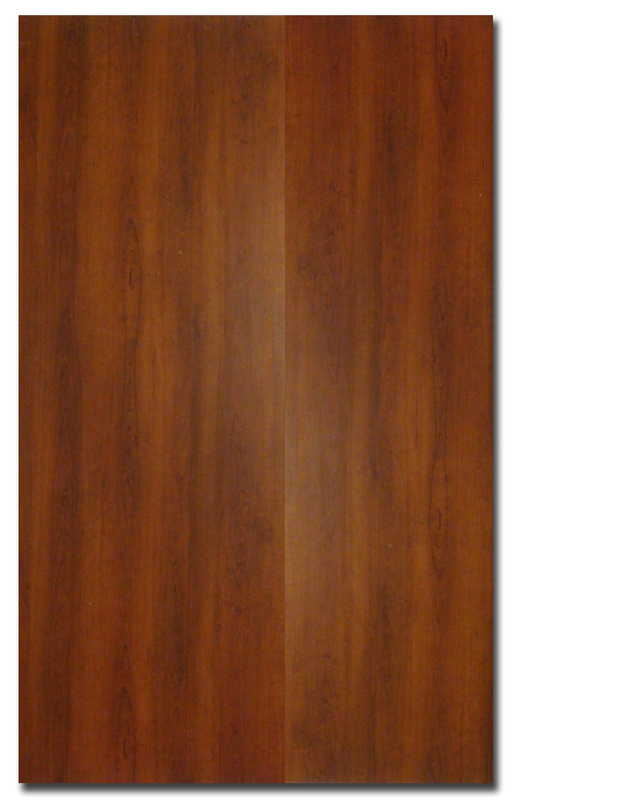 The primary surface materials suggested and used for Sing Sidelight Doors is HPL and Formica. The reason is, we have found this to be the least expensive way to build a weatherproof wide sidelight door without compromising the structure of the door. 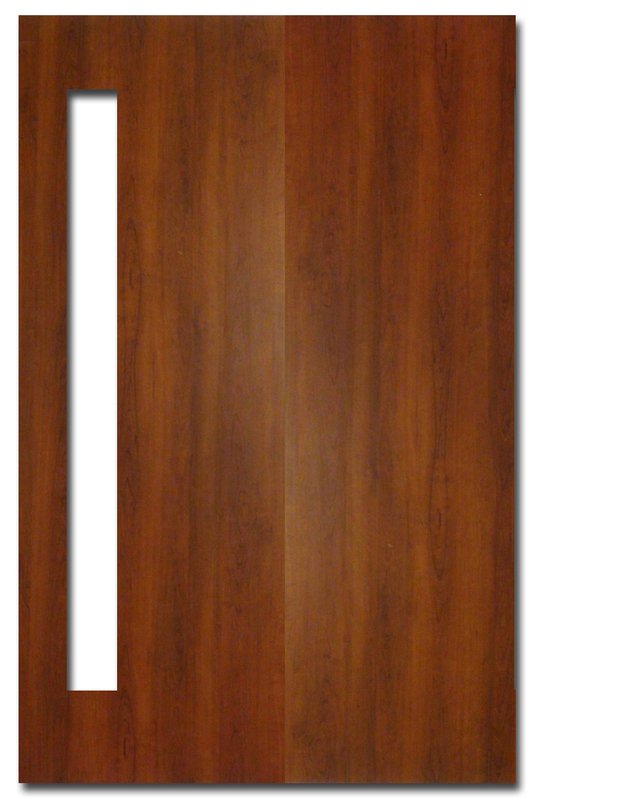 HPL is an excellent choice of door skin because is superior to wood because it is lighter weight than solid wood, impervious to the effects of rain, sleet, snow, or exposure to the sun, or rapid changes in climate conditions. HPL also requires less maintenance than solid wood, or wood veneer door, yet can look exactly the same as solid wood to the naked eye. 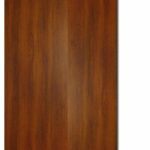 High-end door companies use wood stave or wood veneer for their doors, but we suspect the day will come when all doors are made with natural-looking HPL door skins.